Here's a quick look at a few relatively expensive players rumored to be available via trade, with the trading team likely to eat a bit of the players upcoming salary. Before the world changed around the 2008 season, Jim Hendry signed Japanese import Kosuke Fukudome to a four year, 48 million dollar, contract. 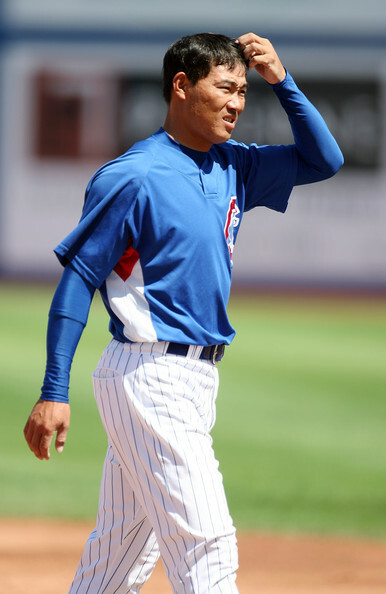 Fukudome joined the Cubs with high expectations to be a patient hitter with some power and good defense in Right Field. The aspirations of team management and the fans seemed warranted initially. His first game with the team, March 31, 2008, he went 3 for 3 with a walk and a homerun. 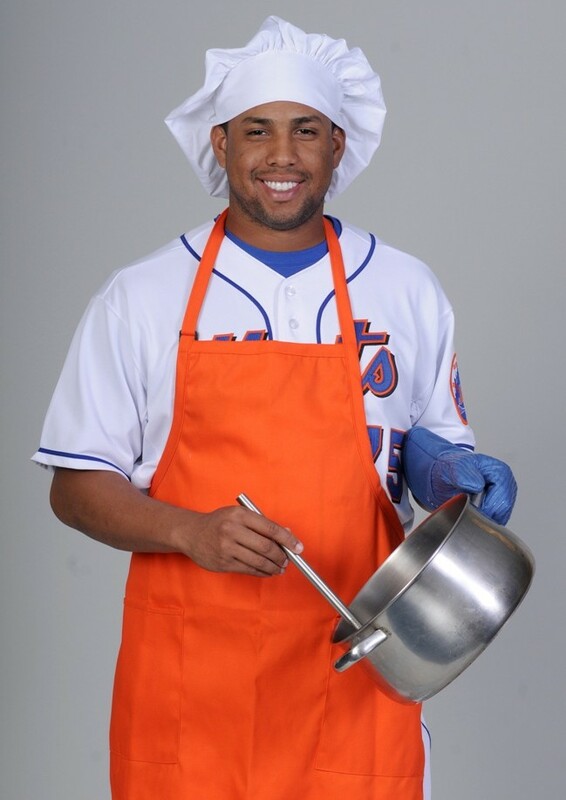 Then, he triple slashed .305/.416/.421 for the month of April. His May and June OBPs were .388 and .387, respectively. Everything looked good; he made the All Star team and everything. Unfortunately, his entire second half detriorated with a triple slash line of .217/.314/.326 after the All Star Break. 2009 was an improvement, with a .375 OBP for the season, but Fukudome failed to deliver the homerun power fans expected. He hit 38 doubles in 2009, but only 11 homeruns. This season past season (2010) was not a train wreck, but it was again a disappointment. The Cubs have paid him $33,500,000 for his three seasons with the team. Fangraphs has valued his performance these past three years at $25,000,000 and 5.7 WAR. Baseball-Reference does not show dollar values, but they score Fukudome's three seasons at 6.0 WAR. So, again, he hasn't been a total bust. Fukudome is due $13,500,000 in 2011. The Cubs are rumored to be shopping him and admitting that they'll eat some of his contract. We think they'll have to absorb between 5mm and 8mm dollars. Hoepfully, they'll get someone better than Carlos Silva. To get someone worse, I'm afraid they'll have to target Ryan Rowland-Smith. "Yes, Daisuke has a no-trade clause, but I think if he can end up on the West Coast, he'd be willing to accept a deal. That's what I'm told"
Daisuke, you look great. No, really. Those last two teams are inland, but some people* consider Phoenix to be on the West Coast. *Personally, I think that is a bad call. These are usually the same people who think Las Vegas is "West Coast". I disagree with that, as well. Still, these people are nowhere nearly as bad as the people from Oklahoma who think Oklahoma is in the Midwest. People, Missouri is barely in the Midwest and you are in the Great Plains. If you don't like that, then you're in Texas Adjacent. You're no anywhere near the Midwest. You have accents similar to Texas, for crying out loud. Of the teams listed above, who is capable/willing to take Fukudome for the next two years? He's due to make 10 million dollars in 2011 and 2012, but we can assume the Red Sox will absorb some of that to get a better player in return. 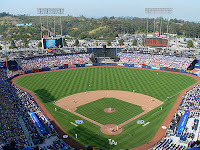 The Dodgers pending ownership divorce makes it seem they won't be making any moves, unless they are low cost. Maybe there is a fit there, if it is truly a salary dump. 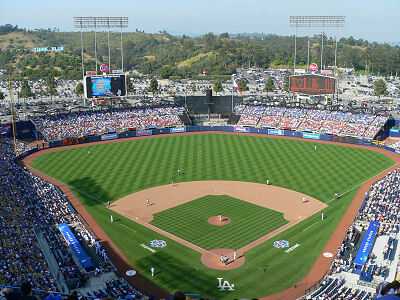 Dodger Stadium is pitcher friendly, and facing the NL West (in their ballparks) is much better than facing the AL East (in theirs). Non of the other teams should really be interesting. The Mariners, Giants, A's, and Padres are all starting pitching heavy. The Angels already have six major league ready starters under team control for next season with Weaver, Haren, Santana, Kazmir, and Piniero penciled into the Starting 5 and Trevor Bell waiting in the wings. I don't see Daisuke going anywhere this offseason, unless he allows the Red Sox to sell him back to a Japanese team, or he expands his possibilities beyond the "West Coast". The Mets are going to see major changes this offseason, with a new front office, field manager, and coaches expected to come after Jerry Manuel is dismissed and Omar Minaya is reassigned. There are multiple reasons for the the new General Manager to want to move Francisco Rodriguez. He's had a checkered past in New York that the team would like to put behind them, and he makes a ton of money. He's owed $11.5 million in 2011 and has a $3.5 million buyout for 2012. That's $15 million just for the 2011 season. His 2012 option vests to the tune of a $17.5 million salary if he finishes 55 games. That is not a lofty number. Before he beat up his common law father in law this summer, he had finished more than 55 games every season since 2004. So, he's either making $15 million for 2011 or $29 million for 2011 and '12. It'll be interesting to see what the new regime does with K-Rod, but there is likely to be an eight figure sunnk cost somewhere.